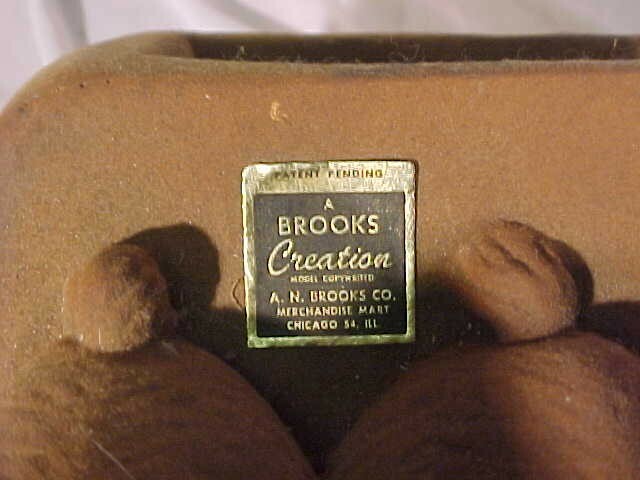 While little is known about Brooks, they were undoubtedly a "multi-media" manufacturer, as their marking has been found on pieces done in plaster, pottery and plastic. They were based out of Chicago, Illinois, and their labels typically read: A.N. 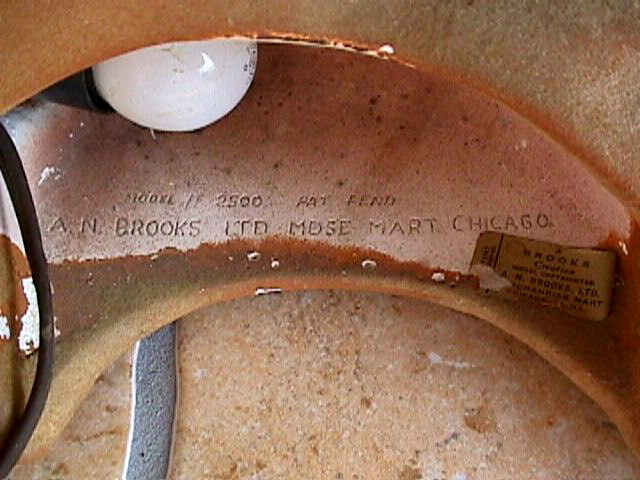 Brooks LTD. Merchandise Mart. This is without a doubt the most frequently found A.N. 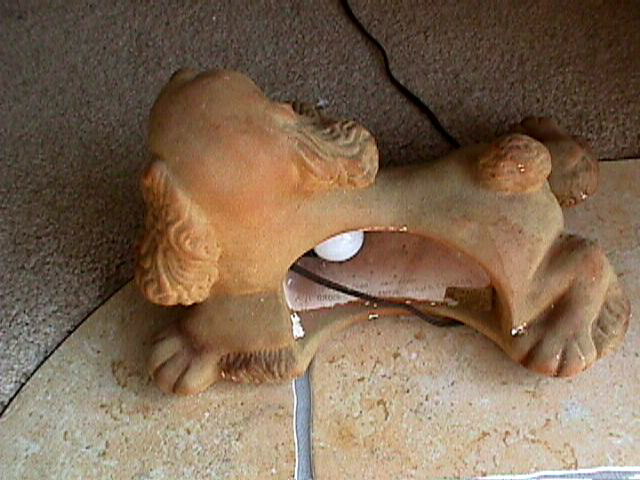 Brooks TV lamp. 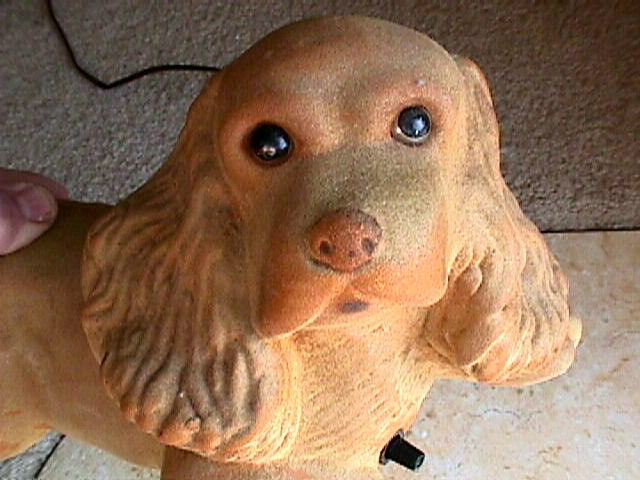 It has an unusual "flocked" finish, which is a felt-like material, probably sprayed on, that's a bit like the texture of old "Hush Puppies" shoes...remember those? Photos courtesy of Steve & Kathy from Red Oak, Iowa. 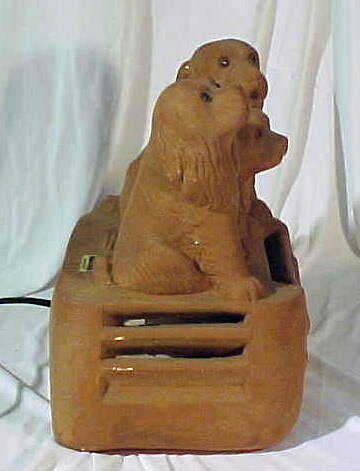 This view shows the top and back of the Brooks Cocker Spaniel TV lamp. Inside the Spaniel is the Brooks marking, with a foil label for good measure. 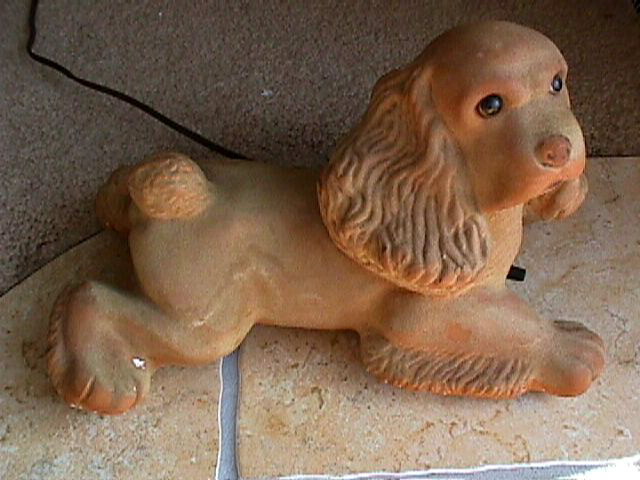 If the Brooks single cocker spaniel lamp didn't trip your trigger, you could always upgrade to this 3-dog beauty! Photos courtesy of Jim from Wisconsin. 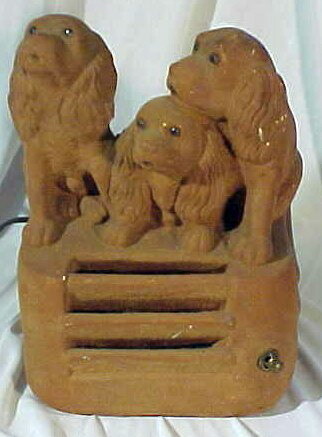 Back view of the 3-dog TV lamp. 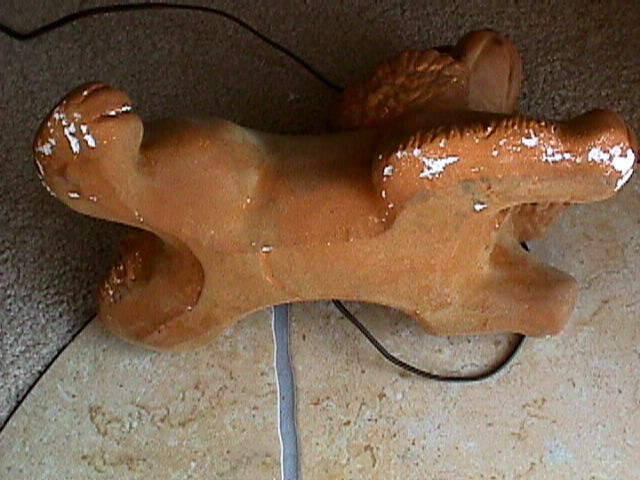 Brooks followed the beat of a different drummer, and this is clearly seen in this design. 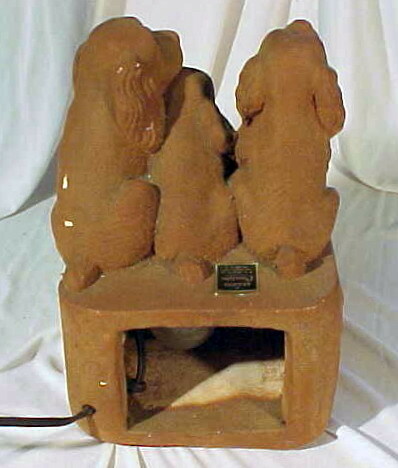 The openings, front and sides, dissipated heat and made for a nice glow of light.